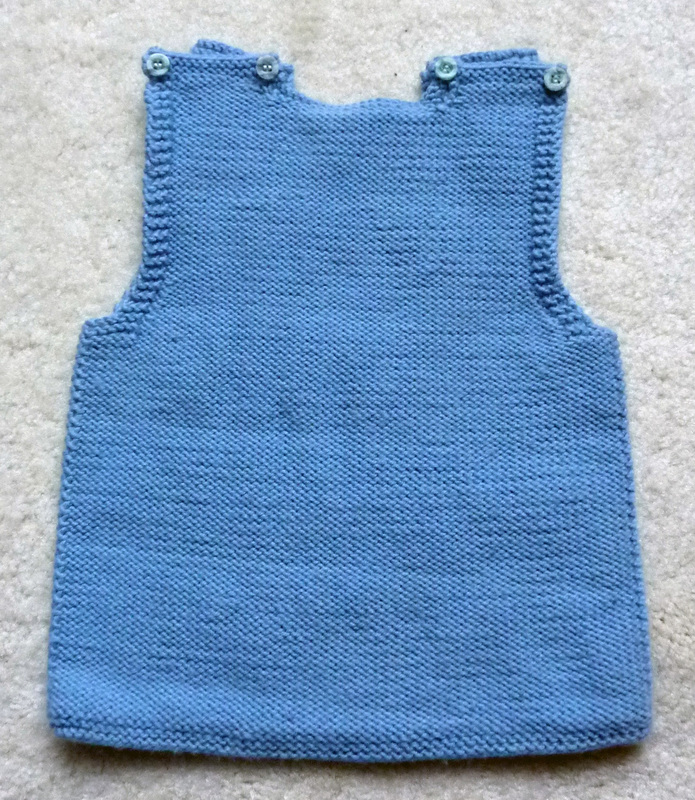 Here’s the cable vest that I was knitting back in November, and blogged about here and here. I took pictures of it back in early December, when we got back from Australia and Luke has been wearing it loads. The pattern was great, and yes, it was another one from the guys over at Garnstudio. I should be getting some sort of commission from Garnstudio, I’m always going around mentioning their patterns, and that’s because they’re fantastic. 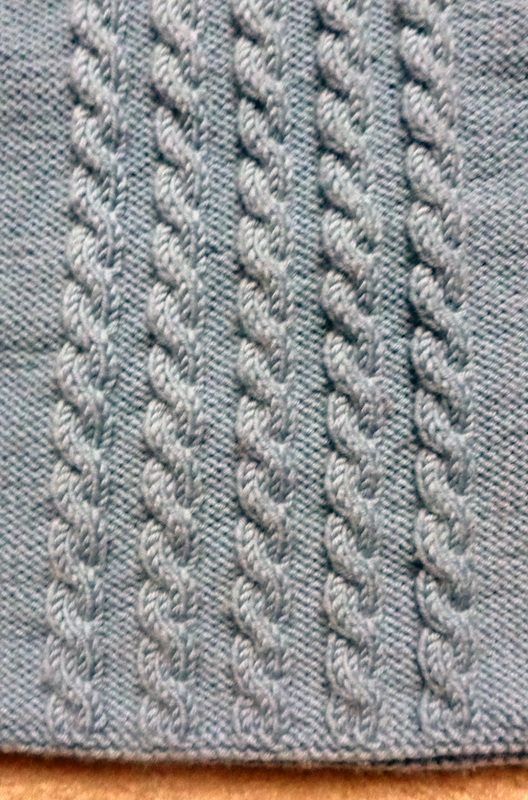 It was such a nice, easy pattern to knit up, especially as it was the first time I was knitting cables. I did change it up a little bit and didn’t finish it like they suggested, instead I just knitted it in one go. 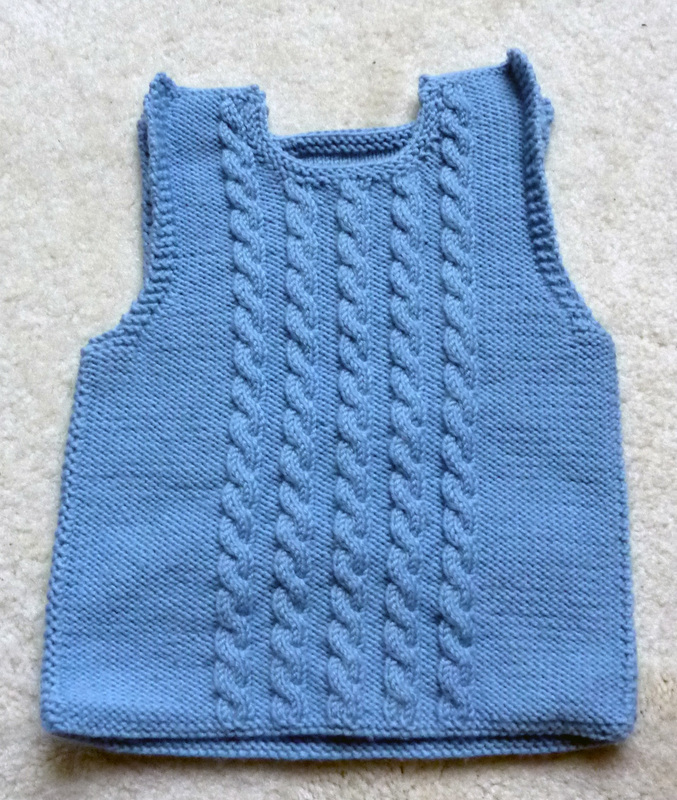 I love how the cables worked out…this last picture doesn’t really give the colour of the vest justice, it’s actually a nicer blue. But why don’t you judge for yourself in the next two pictures? It’s my gorgeous boy Luke wearing the vest. 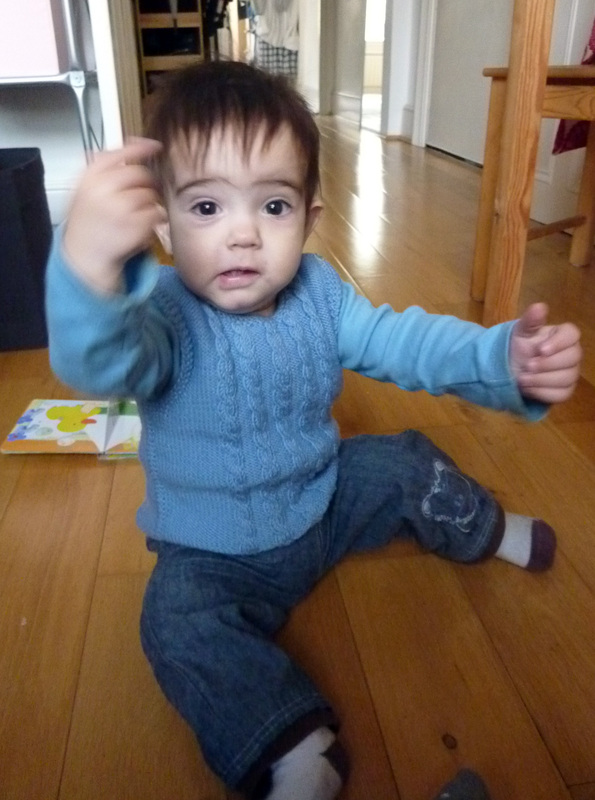 This entry was posted on January 3, 2012 at 9:50 pm and is filed under Baby, Knitting with tags baby, gorgeous, Luke, vest, warm. You can follow any responses to this entry through the RSS 2.0 feed. You can leave a response, or trackback from your own site. I love vest on little boys, they look so handsome. this one is particularly handsome with your lovely cable work, and the button shoulder is too cute. 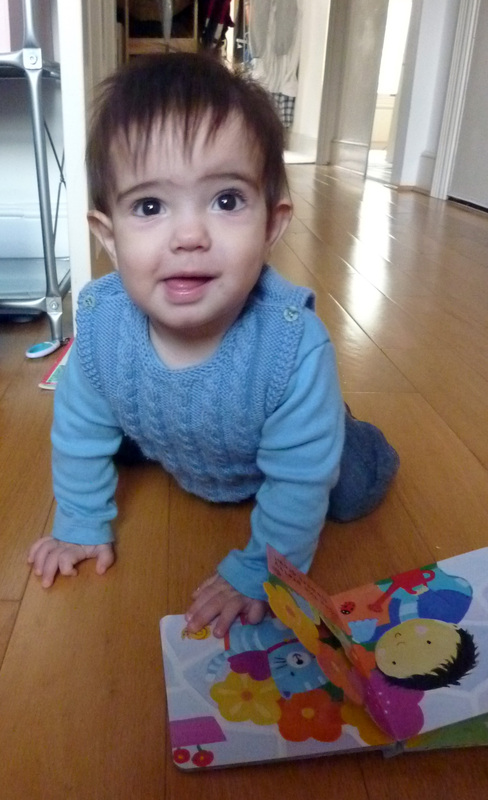 i love the vest – the cables are so neat and tidy! and you weren’t kidding – luke is definitely a gorgeous boy and his vest looks stunning on him! I love that vest. 🙂 I bet you find cables addictive now you’ve done your first ones! Love the vest Anna …. your baby looks gorgeous in it. The cable looks really nice. Thanks for the book suggestion …… I’ll read anything as long as I can get into it ….. Will put your book on my list of books to read.